Entering its 17th year of competition, the Mesquite Amateur is one of the largest handicapped amateur tournaments in the nation. 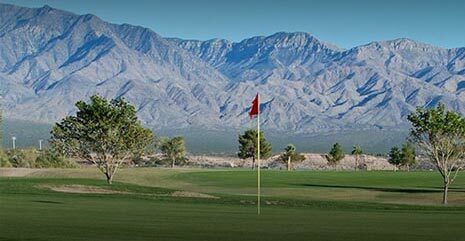 Located in Mesquite, Nevada, which is established along the northern edge of the Mojave Desert and near the southern edges of the Great Basin, all seven courses provide distinct, challenging styles of desert, arroyo, vista, and canyon play. The Mesquite Amateur consists of a five-day 54-hole, net, stroke play tournament. Participants compete against a field of players with a similar handicap. There is also a practice round held on the first day of the event (Practice round is not included in entry and the individual must make their own practice round arrangements). Finalist rankings will be determined by comparing the three-day cumulative score. The top four participants from each flight will compete in the 18-hole championship round at the CasaBlanca Golf Club. USGA rules will govern the play. 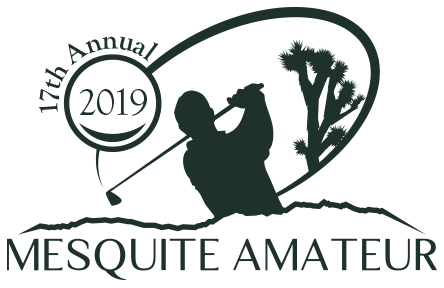 The 2019 Mesquite Amateur is dedicated to answering your questions to ensure the most exciting tournament to date. Additional details will be posted as they become available and the FAQ will include any new questions frequently asked by players. Q: What are the dates for the 2019 Mesquite Amateur? A: The dates of the EVENT are May 27–31st, 2019. Registration and practice rounds are May 27th. Tournament play is May 28th to May 31st. A: The entry fee is $525 before March 31st, 2019 and $575 if you sign up after March 31st. Guests of the player may attend the nightly dinner parties for an additional $160 (for 4 dinner parties). A: Each player receives a welcome packet with gifts valued at $100; three rounds of golf at three different courses including a cart and range balls; admission to all special events and nightly dinners; participation in special tournaments; and the chance to play in the final championship round. Q: Is lodging included in the entry fee? A: No, lodging is not included. However, several area hotels are offering discounted rates for confirmed registrants. Q: What is the last day to register for the event? A: Registration at the $525 per player rate will be available through March 31st, 2019. Players may register after March 31st for $575 per player. Registrations will be accepted up until May 21st, 2019 pending space availability, but must still have an established USGA Handicap Index by May 1st, 2019. Q: What is the average rate for hotel accommodations? A: Rates vary in the Mesquite area, with several hotels and resorts offering specials during tournament dates. Some hotels and resorts will be providing discounts of up to 30 percent. You may check rates through the Mesquite Amateur Hotel tab. Please identify yourself as a Mesquite Amateur entrant. Q: What types of prizes will be available? A: Prizes will be given away in each flight. Prizes will be awarded in gift cards which will be distributed in the Champions Room following the awards presentation the evening of Thursday, May 31st. There will also be a long drive and closest to the hole contest, nightly door prizes, and a grand prize. A full listing of prize values will be listed in the player’s handbook. A: The tournament will consist of three days (May 29th – May 31st) of net stroke play with the top four players from each flight advancing to the Championship round at the CasaBlanca Golf Course on Friday, May 31st. The overall champion will be crowned at the conclusion of play. Q: What are the age divisions? A: The tournament field will consist of five divisions: Men (ages 49 and under), Senior Men (ages 50-59) Super Senior Men (ages 60-69), Masters (ages 70 and over), and Women (ages 21 and over). Players who qualify for the Senior Men or Super Senior Men may request to play in the regular Men division. Q: What are the handicaps for each flight? A: Fight sizes will vary depending on the number of participants. Flights will be based on USGA Handicap Index. Each entrant will play their tournament rounds with a daily handicap determined by the USGA Slope Rating of that entrant’s assigned golf courses. While a player may have an index that would convert to a handicap greater than 36 for men and 40 for women, the maximum handicap men will play with is 36 and women 40, regardless of index. Q: Are practice rounds included in the tournament? A: Practice rounds are not included in the tournament, but there are discounts available from all participating courses. Rates for each facility are subject to availability. Q: Can we choose who we wish to pair with? A: Players may not request a pairing partner. However, players may request to play in the same flight. A: Transportation is not provided from area hotels to area courses but the tournament does offer a ride share program that you can sign up for at registration. Q: Can spectators watch the tournament? A: Guests are encouraged to watch the tournament provided they do not interfere with the play, caddy, or ride in the carts. Spectators can request a golf cart but it is up to the golf course that day if they give a golf cart to a spectator (normal fees will apply). If a spectator does receive a golf cart they are required to be cart path only. If a spectator interferes in any way they will be asked to leave the golf course. Q: Where can I find answers to other questions? A: The rules of the tournament are posted under the Rules tab. If you have any other questions, please contact us under the Contact tab. All amateur golfers with an established USGA Handicap Index (or equivalent) are eligible to compete in the Mesquite Amateur. All entrants and guests must be a minimum of 21 years of age. Full rules and regulations are in the printed player’s handbook. An amateur is considered to be any golfer who plays the game as a non-remunerative and non-profit making sport and does not receive remuneration for teaching golf or other activities because of golf skill or reputation, except as allowed by USGA Rules of Play. The Mesquite Amateur has partnered with the Southern Nevada Golf Association to handle all handicaps and scoring for this year’s event. The Mesquite Amateur and SNGA have developed the following updated rule that will be in place for tournament indexes and adjustments during the tournament. The SNGA is an Allied Golf Association of the USGA, and is licensed to administer the USGA Handicap System™ on behalf of the USGA. It is understood that the SNGA must be diligent in ensuring an equitable playing field in its competitions. All competitors agree to have a Handicap Index (or in Canada a Factor) issued by a licensed member club of a recognized Allied Golf Association, the USGA, or an international Federation in order for the handicap committee to be able to review their scoring history (peer review). In most instances in the United States, a Handicap Index will be computed by GHIN. In Canada, it will be computed by the RCGA Network. If a player is found not to have an Index computed by a service of a recognized association the player’s handicap chair or golf course professional will be contacted by the committee. 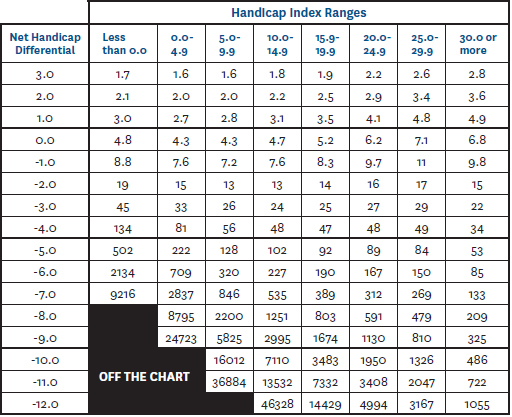 HANDICAP INDEX – All competitors in the Mesquite Amateur shall have Course Handicaps calculated using their 12-month low Handicap Index (June 1, 2018, to May 1, 2019). If a player is found not to have an adequate score history or a peer review is not able to be done by the tournament committee that player will play at 50% of their index and will be contacted by the committee. PERFORMANCE ADJUSTMENTS – The Mesquite Amateur Tournament Committee reserves the right to adjust the Course Handicap of any competitor during the Mesquite Amateur Tournament. During the course of tournament play, after every round, players that shoot a score with a negative net handicap differential will be subject to additional review by the Mesquite Amateur Tournament Committee. Players who have a single round score with a net differential in excess of 125:1 odds as per Appendix E: Exceptional Score Probability Table of the USGA Handicap System Manual, shall have their course handicap (and therefore Net Differential) adjusted to a level that falls below 125:1 odds. Should a player have a second consecutive round score with a negative net handicap differential, then a second adjustment, applied to ALL prior tournament rounds shall be made so that the adjusted differential falls below the 125:1 threshold and or subject to disqualification. The tournament field will consist of five divisions: Men (ages 49 and under), Senior Men (ages 50-59), Super Senior Men (60 -69), Masters (ages 70 and over), and Women (ages 21 and over). Divisions are based on the entrant’s age as of May 25th, 2018. All players are strongly urged to ride in a cart. Tournament entry fee includes cost of cart for three rounds. Spectators are allowed, but are prohibited from riding in the carts or interfering with play in any way. The use of caddies is prohibited. If a spectator does request to ride in a separate golf cart it is solely up to the individual golf course to rent a golf cart to a spectator (normal fees will apply). If a spectator is found to be interfering with play in any way the spectator will be asked to leave the golf course immediately and will not be admitted the rest of the tournament. Unless otherwise indicated, the Rules of Golf as approved by the USGA and The R&A will govern play. Local rules for each golf course will be distributed at each course. All disputes regarding any aspect of tournament play will be reviewed by the tournament committee. All rules decisions by the tournament committee are final. Spikeless shoes are required at all six tournament courses. Attire for the week is golf club casual, including the parties. Bermuda-length shorts may be worn during tournament rounds. Collared shirts are required and no denim is allowed at tournament courses. Weather range is a high of 100 and low of 80. Ties for the top ten places in each flight after Thursday will be broken by comparing third round net scores. If a tie still exists, the next scores will be broken by the net scores from round two. If a tie still exists, the nine-hole net score beginning with the back nine of round three and going backwards until the tie is broken. If a tie still exists, the committee will award duplicate prizes. The top four net scores from each flight will advance to the championship round on Friday, May 31st, 2019 at the CasaBlanca Golf Club at 7:30am. Champion and low gross awards will be announced at a special awards luncheon. Ties for any trophy will be decided by a sudden-death playoff. All flight prizes will be presented after dinner at the CasaBlanca Event Center. Dinner and the awards presentation will be at the CasaBlanca Event Center. Daily incentive prizes will be presented at each night’s dinner. They will include long drive, closest to the hole and low gross scores for Thursday’s tournament round. Spectators are allowed, but are prohibited from riding in the golf carts or interfering with play in any way. The use of caddies is strictly prohibited and will result in disqualification. An amateur golfer is one who plays the game as a non-remunerative and non-profit making sport and who does not receive remuneration of teaching golf or for other activities because of golf skill or reputation, except as provided in the Rules of Golf. Amateur status is a universal condition of eligibility for playing golf competitions as an amateur golfer. A person who acts contrary to the Rules of golf may forfeit his or her status as an amateur golfer and as a result will be ineligible to play in amateur competitions. The retail value of the prize is the price at which it is generally available at the time of award. A symbolic prize is a trophy made of gold, silver, ceramic, glass or the like that is intended for display purposes only and has no significant utilitarian value. An Amateur Golfer must not: Accept a prize (including all prizes received in any one tournament or exhibition for any event, or series of events, in which golf skill is a factor) of a retail value greater than $750 (except for symbolic prizes). 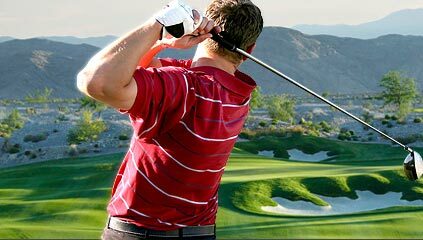 Contestants are expected to (1) know and play by the Rules of Golf, (2) conduct themselves at all times in a sportsmanlike manner, (3) respect the golf course and the rights of other contestants, (4) fulfill their playing obligations and (5) know and abide by the Mesquite Amateur Pace of Play Policy. If the Committee considers that a player is guilty of a serious breach of etiquette, including but not limited to unsportsmanlike conduct (cheating, damaging the golf course, defacing club property, using loud obscene language, throwing clubs, etc. ), it may impose a penalty of DISQUALIFICATION and possible suspension from future play in the Mesquite Amateur. Any disciplinary actions imposed on a contestant by the Mesquite Amateur may be formally communicated to a representative of the contestant’s club and/or to any other allied golf association that the Mesquite Amateur deems appropriate. The Rules of Golf and its interpretations will govern play. See applicable “Notice to Competitors” at each golf course for additional local rules and conditions. Players are to disregard any local rules on the golf course scorecard that are not listed on the “Notice to Competitors” for that course. Defined by the inside points, at ground level of white stakes, boundary fence posts or the inside edge of curbing when on a road determines out of bounds. (Rule 18.2) A ball coming to rest on or beyond a public road defined as out of bounds is out of bounds even if it comes to rest on another part of the course that is in bounds for other holes. Penalty Areas are defined by red or yellow stakes and or lines. When both stakes and lines are used to define penalty areas, the stakes identify the penalty area and the line and defines the edge of the penalty area. When penalty areas are bounded by out of bounds, the penalty area extends to and coincides with the out of bounds line. No Play Zones are defined by a green tip on the top of a penalty area stake. Play is prohibited from these areas and the player must drop a ball with a one-stroke penalty according to Rule 17.1e (Penalty Areas). If the player’s ball is not in the No Play Zone but his or her stance or area of intended swing is interfered with by the No Play Zone he or she shall drop without penalty no nearer the hole at the nearest point which provides complete relief from the No Play Zone. Penalty for playing from an area defined as a No Play Zone will be determined under Rule 14.7. Defined by white lines. French drains and a hole made by a greenskeeper are defined as ground under repair. Relief without penalty is only available when cart paths are artificially surfaced. Artificially surfaced includes cement, asphalt, gravel, etc. But not dirt (including hard pan) or random native rocks. White lined areas that are tied into artificially surfaced paths and roads are considered part of the artificially surfaced path and thus entitled to relief under Rule 16.1 Abnormal Course Conditions. Drop zones have been designated for certain relief situations. Please check the notice to competitors at each course for the exact locations. Drop zones may not be painted but defined as the forward teeing area meaning that a player may drop anywhere on the teeing area in the closely mown area. SCORECARDS MUST BE RETURNED IMMEDIATELY FOLLOWING PLAY AT THE DESIGNATED SCORING AREA AT THE GOLF COURSE THEY ARE PLAYING OR BE SUBJECT TO DISQUALIFICATION. The ball the player uses shall conform to requirements specified in the Equipment Rules. The competition shall be deemed closed when the prizes have been presented to the winners. Rule 20.1c (3). In stroke play only, a player who is uncertain about the right procedure while playing a hole may complete the hole with two balls without penalty. The player must decide to play two balls after the uncertain situation arises and before making a stroke. The player should choose which ball will count if the Rules allow the procedure used for that ball, by announcing that choice to his or her marker or to another player before making a stroke. If the player does not choose in time, the ball played first is treated as the ball chosen by default. The player must report the facts of the situation to the Committee (or the Golf Professional at the course) before returning the scorecard, even if the player scores the same with both balls. The player is disqualified if he or she fails to do so. All groups will be expected to keep up with the group in front of them. If your group falls more than a hole behind, a marshal will ask your group to pick up your pace. If the group does not pick up the pace a rules official will be out to time each individual player. Players will have 40 seconds to hit their shot. Two bad times and the players will be warned. The next bad time (3rd total) the player will be assessed one-stroke. A second bad time (4th total) will result in a two-stroke penalty. If a player incurs another bad time (5th total) they will be disqualified and asked to leave the course. All contestants will receive their scorecards at the course they are playing that day. Players must exchange scorecards with another participant in the group. No competitor shall keep their own score. Players shall record their gross (actual) score only. Net scores will be calculated by the Committee. At the conclusion of each round, all contestants must turn in their scorecard signed and attested (the player and marker’s signatures) to the designated scoring areas at the course. Any player who leaves the course without signing their scorecard will be disqualified. Any player who does not turn in their scorecard immediately following play to the designated scoring area will be subject to disqualification. Any player who accuses another player of a Rules infraction after the scorecards have been returned may also be disqualified (along with the player) for entrapment. The time to bring up any Rules questions is before the scorecards are returned. It should not be thought as confrontational, but rather as assistance, as you may keep that player from being disqualified. You also have an obligation to protect the rest of the field. Any player seeking a ruling must contact the Golf Professional at the golf course they are playing prior to returning their scorecard. Ties will be broken as described in the Player Handbook. If written cancellation is received before May 1st, 2019 a full refund will be given minus a $20 processing fee. If a cancellation is received May 2nd-14th, 2019 you will receive a refund less $100 processing fee. No refunds, regardless of circumstance, will be provided May 15th, 2019 or after. All cancellations and refund requests must be submitted in writing. Please allow 30 days to process requests. *These abbreviated rules will be updated as necessary. A complete set of rules will be provided in each player’s welcome package. Practice Rounds are NOT included in your entry fee. Times can be booked at all seven golf courses by calling the phone numbers listed below. Rates vary at each course and you must book your own tee times. Tell the Pro Shop that you are a participant in the Mesquite Amateur for special practice round rates. There isn’t an amateur tournament in the county that can match golfers with a course line-up that includes the greatest names in golf — Cal Olson, Keith Foster, and Arnold Palmer. And yet, all of them, taken by the beauty of the Nevada-Utah border, have made Mesquite one of the most unique experiences in the West. Each golfer is guaranteed to play at least three award-winning courses or more, depending which course is chosen for the practice round and the championship round. The CasaBlanca Golf Club features an 18-hole, 7,011-yard championship course designed by Cal Olson. The course winds through the region’s natural desert wetlands, offering wonderful views of the surrounding Virgin River Mountains in Mesquite. Thirteen of the 18 holes at the CasaBlanca Golf Club have water challenges. Falcon Ridge features a 6550-yard par 71 desert layout with several elevated tee shots from high plateaus. Known for its spectacular elevation changes, some holes cut into the rolling hills that make up the area. The Palms in Mesquite is almost like playing two different courses, with the front nine featuring extended fairways and the back nine challenging players with mountain-style play. The 15th hole has a breathtaking view and a vertical drop of 114 feet. The Canyons at Oasis Golf Club is one of the most beautiful 18-hole, par 71 courses in Mesquite. The meticulously-designed Bermuda green course takes advantage of the area’s natural vistas. The Palmer course is a masterpiece that provides a par 71 experience set against rugged canyon fairways and meticulously contoured greens. It is rated among the “Top 10 You Can Play” by Golf Digest. The Gary Panks designed Conestoga course managed by Troon Golf opened for play in January of 2010. The scenic 18-hole course is artfully interwoven with the character and contours of Sun City Mesquite’s spectacular landforms. Undulating through canyons with gentle elevation changes, rugged rock outcroppings and tranquil water elements the course presents a masterful design. Located in what many call “Color Country” in St. George, Utah, Coral Canyon’s 7,200-yard, par-72 layout provides breathtaking views of Bryce Canyon’s snow-capped pink spires in the winter and Zion National Park’s green springtime bloom. 10 a.m. to 5 p.m. Tournament registration begins in the Showroom at the CasaBlanca Resort. Players pick up their final course and flight assignments. 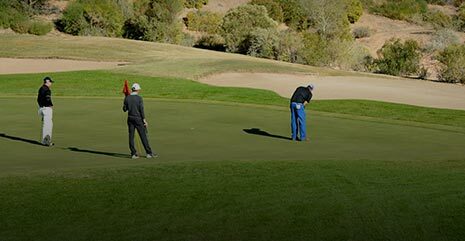 Early arrivals can also take advantage of special arrangements with all area courses in Mesquite and Coral Canyon. Monday is the best opportunity for practice rounds (It is up to the individual to book their own practice round and it is not included in the entry fee). 6 p.m. to 8 p.m. Mesquite Amateur reception dinner in the CasaBlanca Events Center, featuring a catered menu developed by area chefs. Mesquite Amateur Tournament Office – Located in the Cortez Meeting Room at the CasaBlanca Resort will be open after dinner each night. 7:30 a.m. round one play begins with a shotgun start at all five courses in Mesquite. 9:00 a.m. (UTAH TIME) round one play begins with a shotgun start at Coral Canyon (St. George, UT). 6 p.m. to 8 p.m. – Mesquite Amateur Dinner in the CasaBlanca Events Center. Come enjoy great entertainment and raffle prizes. First round scores will be posted. 7:30 a.m. Round two play begins with a shotgun start at all five courses in Mesquite. 9:00 a.m. (UTAH TIME) round two play begins with a shotgun start at Coral Canyon (St. George, UT). 2:45 p.m. The Mesquite Amateur will host a Texas hold ‘Em Championship $65 per person at the Eureka Hotel and Casino. Players will check in at the poker room by 2:45pm and compete for a variety of cash and gift prizes. 6 p.m. to 8 p.m. Mesquite Amateur Dinner in the CasaBlanca Events Center. Come and enjoy a full dinner buffet along with a themed drink of the night. Second round scores will be posted. 8 p.m. Cigars Under the Stars- by the CasaBlanca Pool- Going into its 8th year Cigars under the stars is one of the weeks most popular events! Come puff on a stogie and enjoy a cocktail and enjoy another beautiful Mesquite night. 7:30 a.m. Round three play begins with a shotgun start at all five courses in Mesquite. 9:00 a.m. (UTAH TIME) round three play begins with a shotgun start at Coral Canyon (St. George, UT). 12 noon Mesquite Amateur Wine Luncheon – Wine Luncheon $50 per person- Presented by Southern Wine & Spirits- A wine tasting party will be held in Katherine’s Steakhouse at the CasaBlanca Resort. Come join us for excellent food and taste great wines from all over the world hosted by Southern Wine & Spirits. 6 p.m.to 8 p.m. Mesquite Amateur Championship Dinner in the CasaBlanca Events Center. They say save the best for last. This evening is all about great awards and wrapping up a great week of golf with friends. Final tournament scores are posted and trophies are presented. 8 p.m. – Champions Room CasaBlanca Meeting Space- Top 10 winners from each flight will be able to pick up their prize and visit with Callaway and Taylor Made Golf. 7:30 a.m. Championship round will begin with a shotgun start at the CasaBlanca Golf Club. Participants will include the top four finishers from each flight. Immediately following the championship, finalists will be treated to lunch at the CasaBlanca Golf Course Deli. 1:30 p.m. The winners of the Mesquite Amateur will be announced immediately following lunch. The overall champion will be crowned. While entrants are responsible for their own accommodations at the Mesquite Amateur, several sponsoring hotels are offering special rates for entrants and their guests. To ensure the best possible rate, please identify yourself as a Mesquite Amateur contestant. The CasaBlanca Resort is considered to be among the finest resorts in Mesquite, with 500 first-class deluxe rooms, all of which include European-style bedding. The resort is also home to a spa, salon, swimming pool, and entertainment lounge. The Virgin River Hotel includes 700 detached rooms. It also features the area’s primary bowling lanes, two outdoor pools, and a bingo parlor. The best of everything can be found at the CasaBlanca Resort & Virgin River in Mesquite Nevada. With quality hotel rooms that won’t break the bank, a wide variety of dining options, and the top entertainment acts in town. The Mesquite Resort Association is a professional nonprofit association that leads the area in business development, community service, and corporate stewardship. Experience TaylorMade Golf drivers, irons, wedges, putters, golf balls & golf accessories. TaylorMade Golf Official Site: #1 driver in golf. Southern Wine & Spirits is a nationally recognized wine and spirits distributor and the largest distributor in Southern Nevada. The City of Mesquite, Nevada, has governed the historic area since 1984. Prior, the area dates back to the mid 1880s, when the Old Spanish Trail passed through along the Virgin.